You send your child away to summer camp so that he'll grow, learn new skills, and make new friends. But what if your child falls ill at camp? The truth is, the summer months are not unlike other times of the year, and that means that your child can fall ill while away. But there is a lot you can do to prevent illness while your tween is enjoying summer camp. There are are also important steps your tween must take if he thinks he's getting sick while at camp. Access Your Child's Health Before Dropping Him Off: You want to make sure your child is up to the camp experience before you drop him off for a week or two. 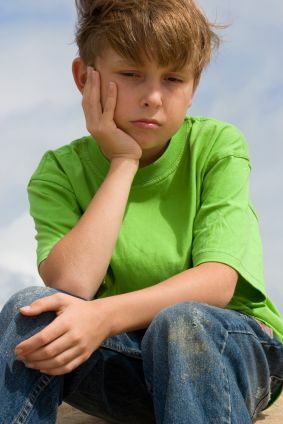 If your tween is acting sluggish or out of sorts, make sure he isn't already ill before camp begins. If you think your child may be coming down with something, you might want to keep him home for a day, so he doesn't expose other campers. Be sure your child isn't just behaving strangely due to homesickness or anxiety about being away from home. Practice Good Hygiene: If your child practices good hygiene while at camp he will minimize the likelihood of catching a cold, or some other virus from other campers. Be sure your tween knows that he should wash his hands when possible, and avoid sharing drinks or water bottles with other campers. In addition, your child should know how to prevent catching head lice, by avoiding the sharing of hats, hair brushes, and combs. Practice Healthy Eating: Your child may suffer at camp if he chooses to load up on carbs, sweets and avoid healthy food choices. Make sure your tween understands that stomach cramps, lethargy, and constipation can all result from a bad diet. Encourage your tween to make healthy eating choices while away so that he doesn't have to deal with digestive problems. Talk About Hydration and Sunburn: Your tween can avoid some of the more common camp problems just by staying hydrated and avoiding sunburn or sun poisoning. Make sure your tween understands that he'll need to drink frequently, even if he's not that thirsty, to avoid dehydrating in the hot summer sun. If your child knows how to properly apply sunscreen, he won't have to worry about painful sunburns, or worse, sun poisoning. Instruct Your Tween to Visit the Camp Nurse: Even if your child does everything he should avoid getting ill while at camp, the truth is he could come down sick while away. Be sure your child knows that the camp nurse or camp doctor is there to help should he feel sick while away. The camp nurse will treat minor problems, and probably contact you so that you know what's going on. If your child's illness is minor, he'll likely be sent back to his cabin to enjoy the rest of the camp experience. If your child is contagious he may need to spend a day or two in the camp clinic to avoid spreading anything around to his campmates. If your tween becomes severely ill, the nurse will likely have your child admitted to a local clinic or hospital for further treatment.